Pretty solid St. Patty’s Day tee right here. It’s assumed that all Irish people drink heavily, which isn’t totally true. There are 7% of the Irish people throughout the world that actually consume less than 8 drinks per day. 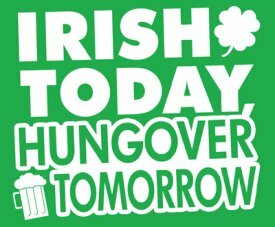 So, technically, this Irish Today Hungover Tomorrow T Shirt should have asterisks and stuff with messaging that makes this clear. 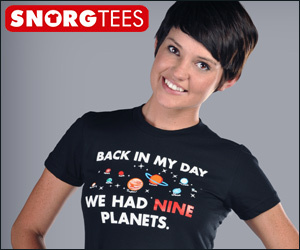 However, Deez Teez has taken liberties, which is one of the perks in this funny t shirt business. They have just let the statement stand on its own, and I think they made the right decision even if it’s not the most politically correct. Want to see more funny St. Patricks Day T Shirts? Then click that link you just passed. Please. Now.